They’re re-building the Towers! 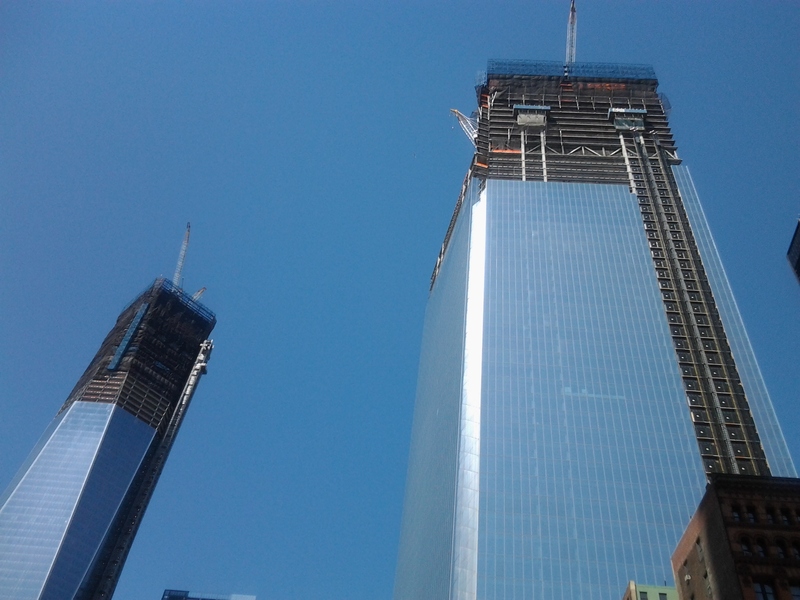 As of May 2012 they’re once again the highest structure in New York City. FINDING THE MICHAELS IS GOING TO NEW YORK! My dream came true Finding the Michaels was performed in not one, but TWO festivals Off-Broadway in New York City in November 2012! WHY FINDING THE MICHAELS IN NEW YORK? California audiences have been touched to tears by both the tragic challenges and the inspiring messages inherent in Finding the Michaels. Now, it’s time to share this story with New Yorkers, each of whom were propelled on their own unique, but connected journey after experiencing the disaster of 9/11 in their hometown. Ten years has passed, and the old adage of “time heals” has some truth. But how do we talk about and integrate meaningful change? My intention with Finding the Michaels is to open up dialogue about how our lives have been irrevocably changed by the events and aftermath of that shattering day, how we’ve survived and thrived through it, and in some ways have emerged even stronger, livelier, and more united.